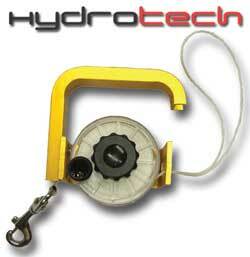 A substantial alloy metal wreck and caving style reel with free running and locked positions. ( no ratchet ). Available 3 colours silver, gold, blue. Small reel 75 mm diameter with Approx 45 mtrs of line.